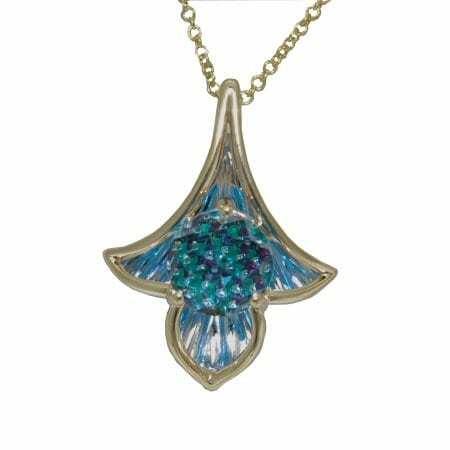 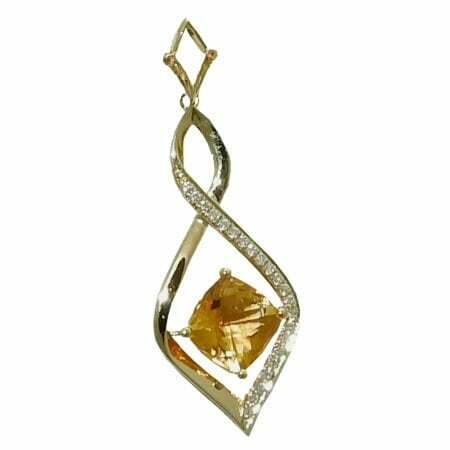 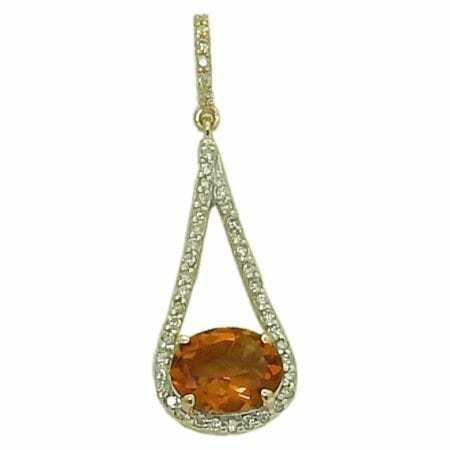 Natural Mexican Fire Opal Pendant in 18 Karat Yellow and White Gold by Denny Wong. 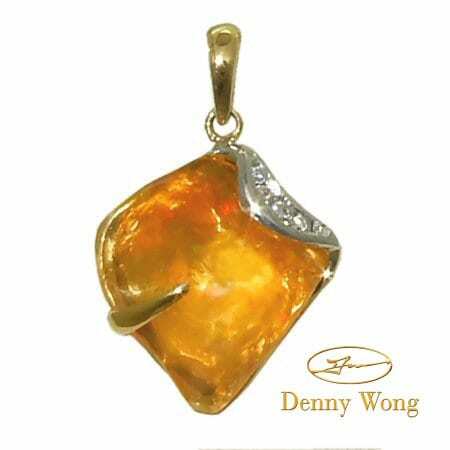 Natural Mexican Fire Opal Pendant in 18 Karat Yellow and White Gold by Denny Wong. 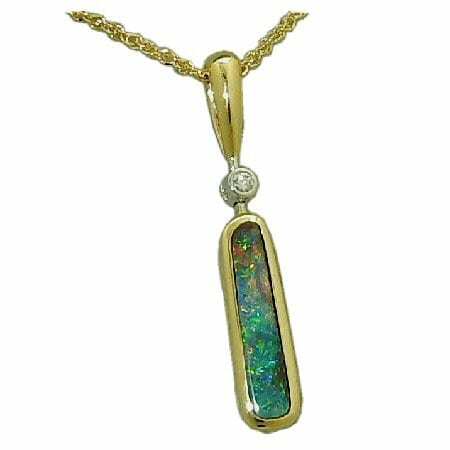 The 3.02 carat natural Mexican opal is an unusual shape and cut and is enhanced with 0.07 cttw round brilliant cut diamonds bead set in one of the upper corners.